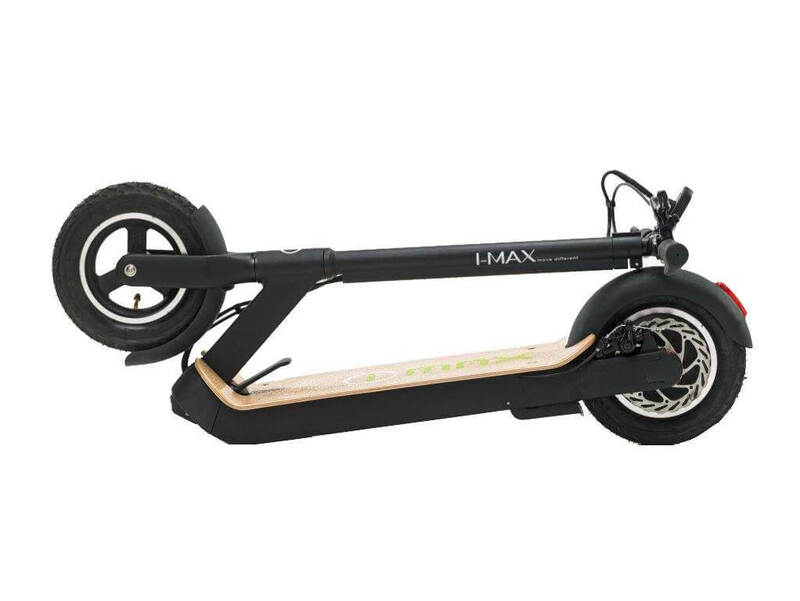 The Imax S1+ is an electric scooter designed and produced by Magnum Bikes. Magnum Bikes was founded in 2010 and creates high quality products, using components from international companies such as Samsung and Hesling. 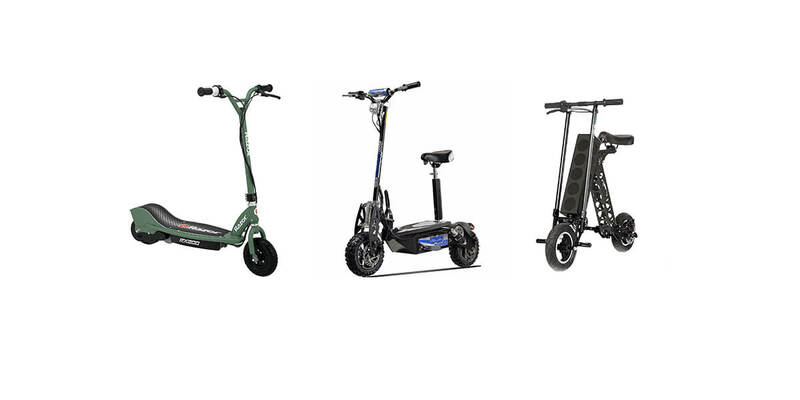 They sell electric bikes and electric scooters, presently the S1+ being their most expensive electric scooter on the market. The Imax S1+ has a range of very interesting features and is generally very highly rated, so let’s see if it lives up to my expectations! Starting at the top of the scooter, the Imax S1+ has ergonomic rubber handlebars with an adjustable height, and an aluminium alloy frame. 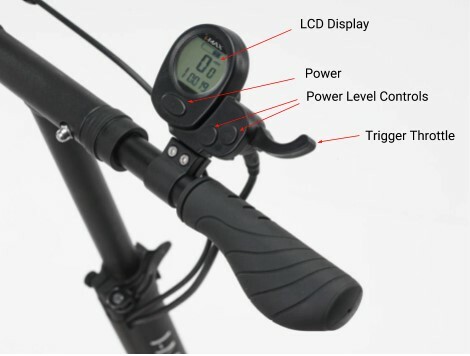 There is an LCD screen attached to the handlebars along with the throttle and the buttons which power on the scooter and control the maximum speed. 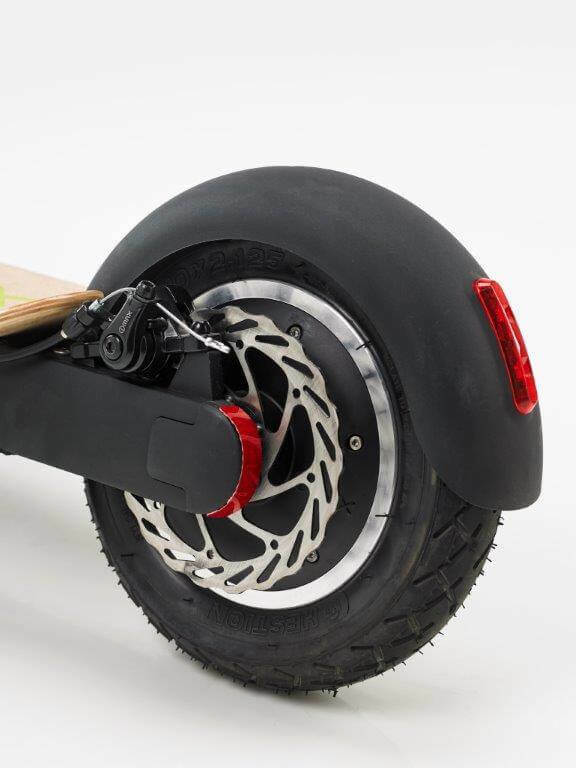 It’s a foldable scooter, which is able to sit upright on its own when fully folded. The 500 Watt gearless (also known as a direct drive) hub motor allows it to travel up to 20mph on its 10” tires, and the rear brake is made up of a mechanical disc brake, these disc brakes generate a large amount of stopping power so you know you’re in safe hands. 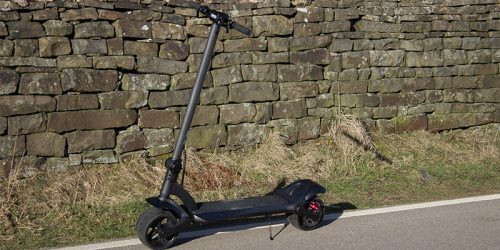 Its overall build quality, performance and design are fantastic and I would choose this over almost any other scooter despite the high selling price. If you were riding the scooter and looking at the T-bar, you’d see the brake lever and an integrated bell on the left hand side, and on the right you’d see the LCD screen, the power button, the power level buttons and the throttle. The LCD screen displays a speedometer, odometer, battery level indicator and the power setting you are currently on, meaning your available maximum speed. This LCD screen has a backlight activated with the power button – this will simultaneously turn on the rear LED light, which is also brake activated. The throttle is a trigger throttle to the right of the LCD screen. There are also three buttons close by to the LCD display. These buttons are used to power on the scooter and to choose between 1 of 5 speed settings, each with a higher top speed than the last. The handlebar height is adjustable to any height from 36” to 45”, and when transporting the S1+ the sliding sleeves attached to the handlebars allows you to fold them down to make the scooter more compact. 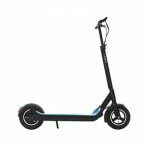 Additional features include a kickstand on the left hand side and a USB charging port located on the underside of the LCD screen, this is useful for anyone looking to purchase a bar mounted headlight, as the scooter doesn’t come with an integrated headlight. 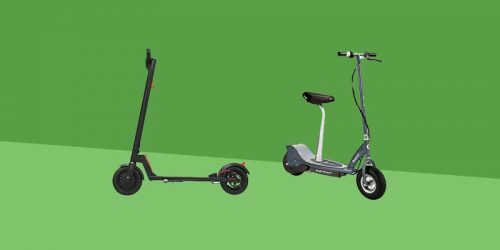 The Imax S1+ also made it onto our lists of the fastest electric scooters and the best electric scooters for commuting. 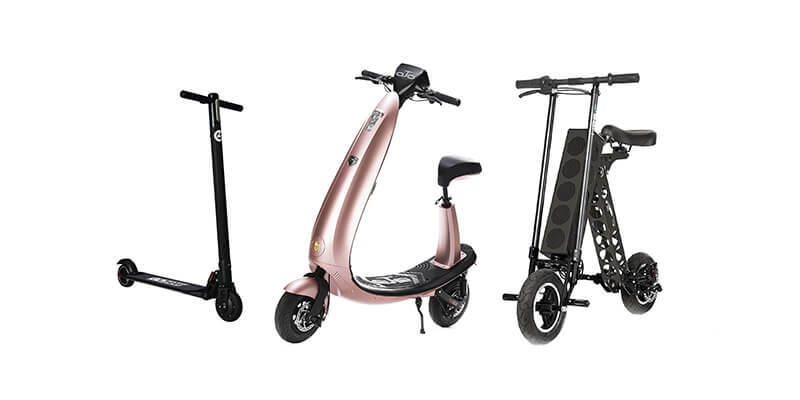 The S1+ is one of the bigger electric scooters, larger than say the Glion Dolly – with wide, ergonomic handlebars and an extra large deck, this scooter seems more fitted to suburban streets and spacious cities. From our experience the deck is wide enough to stand with your feet side by side, and the inflatable pneumatic wheels are 10 x 2”. I really like these tires, they’re pretty luxurious and could easily be on par with any bicycle tires. Imax definitely had strength and durability in mind when they chose to use this set of tires. The downside of this being they will have to be maintained and looked after due to air loss over time and the danger of flats. When you look at the upper end of the deck you’ll see the folding level situated there, right at the base of the T-bar. When you fold the scooter you’ll find that it sits upright on its own, and if you want to transport it all you have to do is pick up the front wheel and walk it around on its back wheel! Direct drive hub motors output a lot more power than geared motors, but consequently they are a lot heavier. 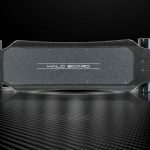 This can be seen in the S1+ as its weight is close to 40 lbs – this would be an issue if your scooter ever ran out of battery, manually riding the S1+ would be a tough feat due to the fact that you’re working against the direct drive motor and attempting to transport a relatively heavy scooter. 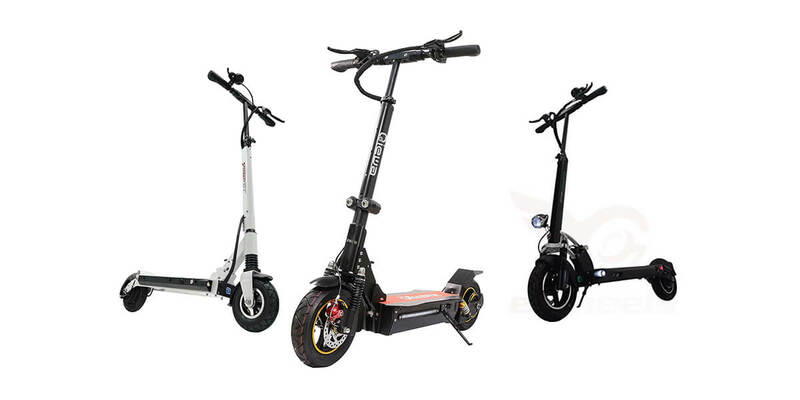 When starting the scooter, the S1+ requires at least 2mph to activate the throttle, this directly benefits the efficiency of the motor as it would use up a lot more power to start up from stationary. When you get the scooter going you’ll find that it makes essentially no noise, this is a result of the gearless hub motor, and is something that direct drives are known for. 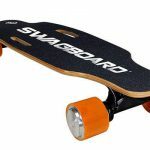 When it comes to performance the S1+ really stands out, it has a 48 volt, 10 amp-hour lithium ion battery with a 500 Watt gearless direct drive motor, with 750 Watts being the peak output. You really feel confident when you’re riding with the S1’s 500 Watt motor beneath you. The Imax S1+ has some hefty 10 x 2” pneumatic tires, when giving the scooter a test ride they proved to do a very good job at absorbing shocks from uneven or bumpy journeys. They’re air-filled and the cushioning due to this makes up for the lack of suspension in the scooter. I haven’t been able to find a weight limit but I’ve read plenty of accounts of people weighing over 250 lbs comfortably riding this scooter not only on flat ground, but up small hills and over bumpy roads. However I wouldn’t recommend getting carried away, as some steeper hills will definitely need a few kicks to keep it going at a decent speed. The 140mm rotor on the rear wheel combined with the mechanical disk brake produces a reliable, consistent stopping power. Disk brakes are known for their controlled, incremental stop rather than a sudden halt. The Tires – Though they require some maintenance, we respect Imax’s choice to commit to the inflatable 10” pneumatic tires. As they’re air filled they produce great comfort, and the size gives you a lot of confidence in the ride. The USB Port – Located on the underside of the LCD display, this is a handy little feature that can be used for charging phones or powering a headlight. The Brakes – The mechanical disk brake is powerful and reliable, with the 140mm rotor situated on the back wheel I’ve felt happy with a comfortable, controlled stop in rain or shine. 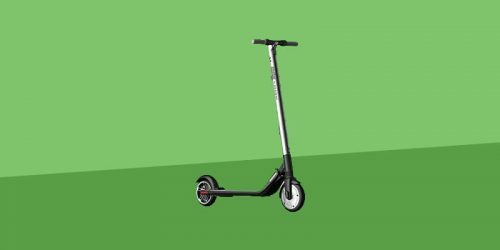 The Weight – Though the sturdiness of the scooter can be a good thing, due to its weight verging on 40 lbs we’re gonna have to flag this up as being a potential hindrance. The Tires – This is a first for AltRiders, the same attribute being on both the pros and cons list! We feel like we have to point out the risk of spending time and money maintaining the tires if you were to get a flat, we recommend purchasing some extra tubes when buying this scooter. 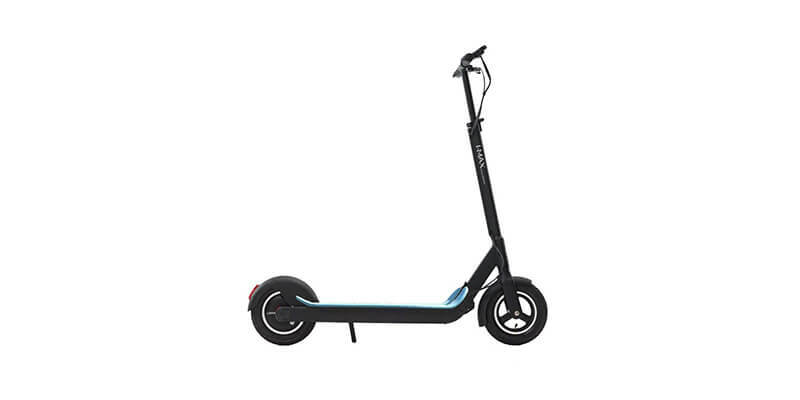 Due to the Imax’s weight and size this might not be the best choice for everyone, if you’re looking for something lighter you would be better off getting a more compact scooter with the trade-off being a smaller motor. 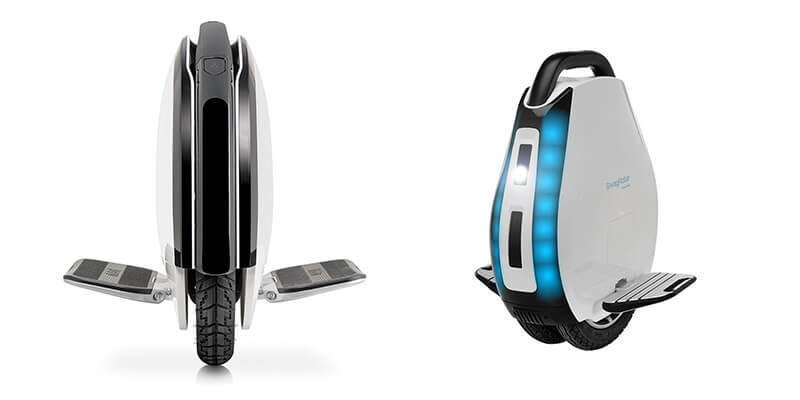 ( For example, the Swagtron Swagger). Now that I’ve got that out of the way, I want to say that I love the Imax S1+! 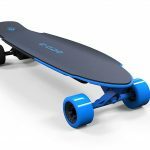 The motor is powerful, the wheels are strong and the overall design is really solid. Generally it just feels like the real deal. 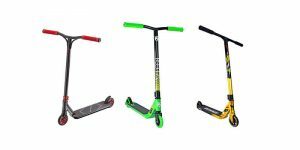 Personally I would recommend getting a scooter like the S1+ over getting a cheap $300 scooter any day of the week.